Forty-year-old Peter Bell died this date, March 11th, in 1850 and was buried at Bethel Burying Ground. 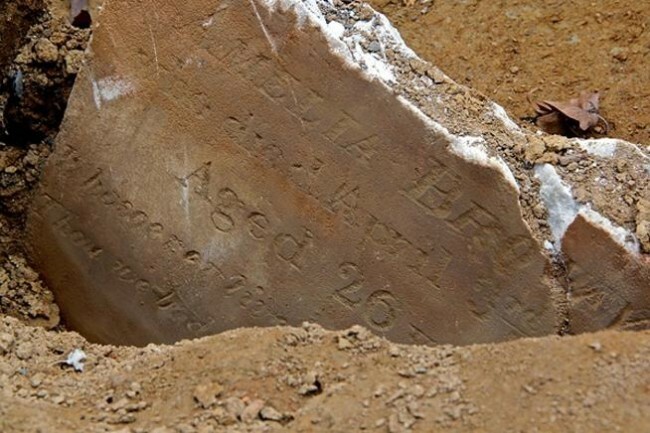 Forty-year-old Peter Bell died this date, March 11th, in 1850 and was buried at Bethel Burying Ground. His occupation may have contributed to his death due to hemorrhaging of his lungs. Mr. Bell was employed as a hat presser/steamer. The highly toxic chemical mercury was used in the manufacturing of hats until 1941. Mercury was used in solution to improve the felting quality of the fur. Steaming caused the mercury to vaporize which then was inhaled by the handler. Chronic mercury poisoning (Erethism) was also known as “Mad as a Hatter” disease. The chemical destroyed brain and lung tissue. Mr. Bell may have been employed at one of the large hat manufacturers in Philadelphia, such as John Simpson’s on Chestnut Street above 3rd Street or James Bulkley’s factory at 7th South 5th Street in center city Philadelphia. Mr. Bell’s weekly salary of $6 reflects his position as a skilled worker with a slightly higher than the average salary for Black men of that era. The 1847 Philadelphia African American Census shows that Mr. Bell was only one of four Black men employed in the hat and cap manufacturing business. Two are reported to have been occupied as a “hat dryer” and one as a “hat colorer.” The 1850 Federal Census showed that there were 1,000+ white men employed in the business at that time. I was unable to locate information on Ms. Bell after her spouse’s death. The 1847 Census reports her occupation as a laundress. The family lived in a 10’x10′ room in the old Southwark District for which they paid $4 a month. Mr. Bell may have been buried at Bethel Burying Ground because the Bells may have had children buried there. There are four possibilities: three who died in 1845 (Bernard, “E.” and Mary) and one in 1846 (John). ← Twenty-eight-year-old James Rankin died this date, March 8th, in 1850 and was buried at Bethel Burying Ground.